DETROIT – The Henry Ford Cancer Institute announced today it has enrolled the first patient in a new clinical trial to test the effectiveness of using precise, higher dose MRI-guided radiation therapy to treat pancreatic cancer. Prior analysis has shown that MRI-guided radiation therapy may be a promising therapy for treating locally advanced pancreatic cancer. This suggests the potential for improving the survival of patients who received lower radiation doses without increasing the side effects of serious gastrointestinal toxicity. 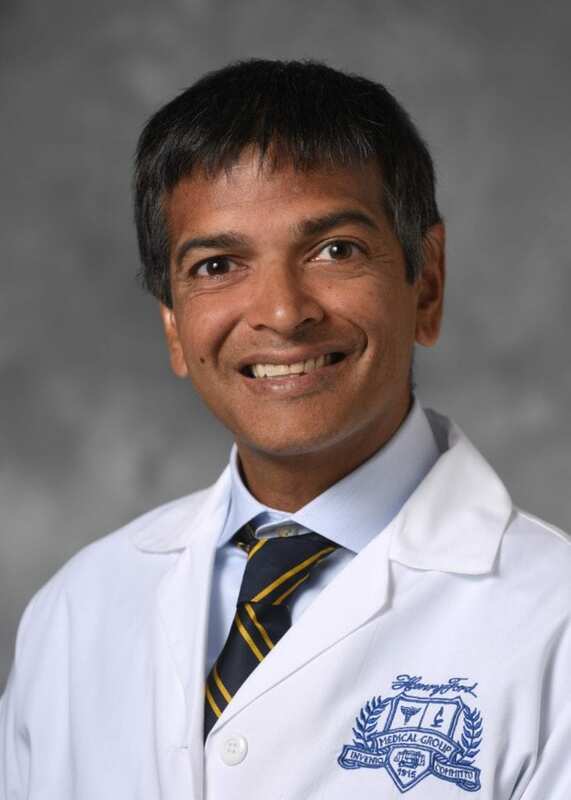 Parag Parikh, M.D., the Cancer Institute’s director of GI Radiation Oncology and MRI-Guided Radiation Therapy, is co-principal investigator for the five-year Stereotactic MRI-guided On-table Adaptive Radiation Therapy Trial, or SMART. Researchers will enroll 133 patients with borderline resectable or inoperable locally advanced pancreatic cancer. “High-definition MRI and daily treatment plan adaptation allow us to deliver ablative radiation doses safely to pancreatic cancer patients for the first time ever,” Dr. Parikh says. It’s estimated there were more than 55,000 new cases of pancreatic cancer in 2018, according to the National Cancer Institute. The five-year survival rate is 8.5 percent. In July 2017 the Cancer Institute was the first in the world to treat patients using the FDA-approved ViewRay MRIdian Linac® system, which allows doctors to see the treatment area with real-time magnetic resonance imaging (MRI) and deliver precise radiation at the same time while more effectively protecting surrounding healthy tissue. As a high-volume treatment center for pancreatic cancer, the Cancer Institute in April 2018 announced a $20 million gift to launch the Henry Ford Pancreatic Cancer Center, which is establishing partnerships between Henry Ford and leading national and international organizations to identify means to detect pancreatic cancer at an earlier stage, with best-in-class collaborations and technological advancements. The SMART trial is the first prospective, multi-institutional study to evaluate delivering ablative doses of radiation to pancreatic cancer patients using ViewRay’s MRIdian system. In all patients, real-time MRI imaging will be used throughout treatment delivery to monitor the target location and control the radiation beam as necessary. For more information regarding this study, contact the Cancer Institute’s Department of Radiation Oncology at 313.916.1021.